I worked this launch on pad. 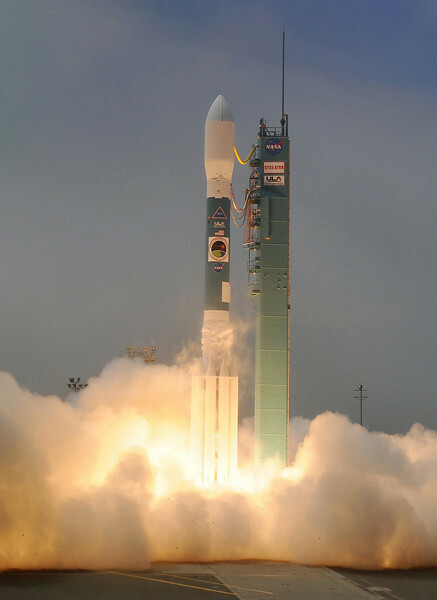 The launch was on 5 May 2009 at 1:24pm. Camera tower photo. Notice the umbilicals are still connected to the booster and the payload fairing.